The proposed merger between Sainsbury and Asda (Wal-Mart) is genuinely mega-stuff in the corporate retail world. 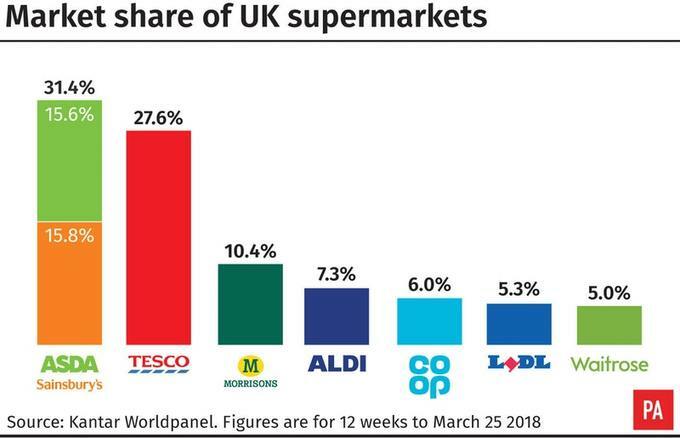 The proposed deal represents a material potential threshold in British retail history, bringing forth an effective duopoly because alongside Tesco UK, broadly in their present form, the two businesses would have c.60% of the domestic grocery market. The proposed merger is an involved exercise. I cannot really believe I am stating this but, bizarrely, it could get clearance. However, the story may not end there. Going back to the start, this merger is the product of the unconditional clearance by the UK Competition and Markets Authority (CMA) of the combination of Tesco and Booker. I expected this deal to be broadly cleared but not unconditionally, that is without any balancing remedies. Such clearance paved the way for investment bankers to entice Mike Coupe at Sainsbury and Roger Burnley at Asda, ex-colleagues, to have a go. In fact this is not a merger; it is a takeover of Asda by Sainsbury. More broadly, it is a capitulation by Asda’s parent, Wal-Mart, from the UK market as it receives an unremarkable exit valuation, takes up pension responsibilities and 29% voting rights despite acquiring 42% of the equity. The deal is caught up in all sorts of delicacies and nuances. The CMA has said the supply chain will be considered as part of the broader investigation, new territory, whilst Mr Coupe has spoke of c£350m of net buying synergies, emanating from international proprietary brand suppliers; so presumably domestic brand and private label manufacturers have little to fear…!!! Hmmm. Ms. Tacon at GSCOP may actually have something to do in due course methinks…! The process of investigation is manna from heaven for the legal profession. 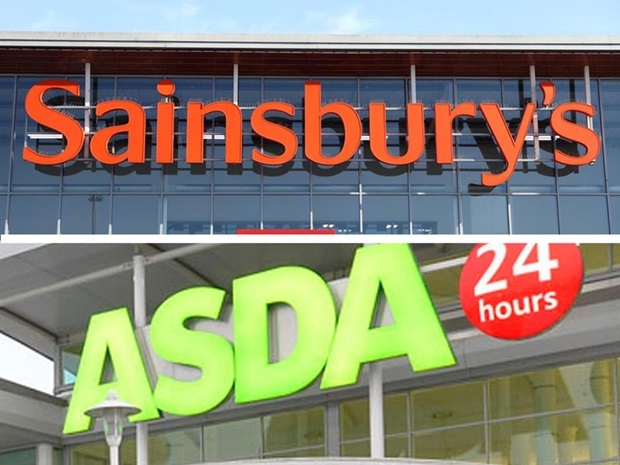 On what basis the CMA determines to consider the merger will be critical, Asda and Sainsbury are understandably trying to have the widest possible definition of the market. However, will they ‘get away with it’? Recent comments by Mr. Coupe that the deal needs to work financially for shareholders (FT article) suggests some doubts at first base may be emerging. Who knows that remedies, if any, the CMA will come up with. Closing stores is not a remedy whilst disposals have to go to those that can operate a superstore. With Tesco’s dominant share that leaves few eligible acquirers; what if they do not want any stores? Hence, there is much water to flow under the bridge, and maybe quite a bit of time, before remedies can be revealed, agreed and so this deal completed. Indiana Jones comes to mind at this point but after all that, should the marriage be consummated then the task of merging two companies that do similar things very differently, comes to the fore. Indeed, this final task could just be the most difficult of all, just when we suspect Mr. Coupe will be planning to ‘hang up his boots’, hopefully, for him, ‘in the money’. The reality is that this is a merger of weakness. Sainsbury is suffering in grocery from the return of Tesco and is seemingly trying to cut itself to growth, which never works in grocery retailing. With Argos bedded in and masking underlying profit contraction in food, the business ‘needs a deal’, rarely a good reason to do one. As for Asda, well it is relatively weak as a pure value play against the limited assortment discounters (LADs) and inferior as a grocer to Morrison, Sainsbury and Tesco. Hence, in running out of ideas Wal-Mart is exiting through Sainsbury to focus on the Americas, China and India. Rarely have I witnessed a deal where the supply chain, manufacturers, are so anti, so worried and so dismayed that such a position can be reached. That the CMA is considering the supply chain in its investigation, therefore, is a good thing, albeit how the CMA will look at it, well who knows? There is much to go on, therefore, before we understand the ongoing organisational structure of a very important component of the British food system. Quite simply, duopolies do not tend to work for shoppers, they are almost inherently designed not to without concomitant regulation. Accordingly, the CMA has a tough job on the one hand, one it has brought upon itself, but maybe an easy one on the other; perhaps it’s time to look after the shopper; few seriously believe that 10% price cuts on an unspecified number of lines from an unspecified date, as suggested by Coupe & Co., is a meaningful commitment to consumers. crazy almost chronic situation that is Brexit (no matter how one voted the current situation is beyond laughable). In such contexts Coriolis has a skill-set that is grounded in reality, focusing upon productivity and efficiency through supporting operational excellence, which is important at all times but no more so than today. Share "Arise the Duopoly? by Clive Black"